One of the highlights of our train journey from Moscow to Beijing happens at the border with China. In the darkness, our train – with all of its passengers inside it – is shunted into a vast shed. Inside, men in boiler suits scuttle about. One carriage at a time, the train is lifted onto stilts and the bogies replaced. In China, it turns out, the tracks are a few inches narrower than they are in Russia: different country, different standard. If you looked at a map, you might think it was the same for the languages of the region. 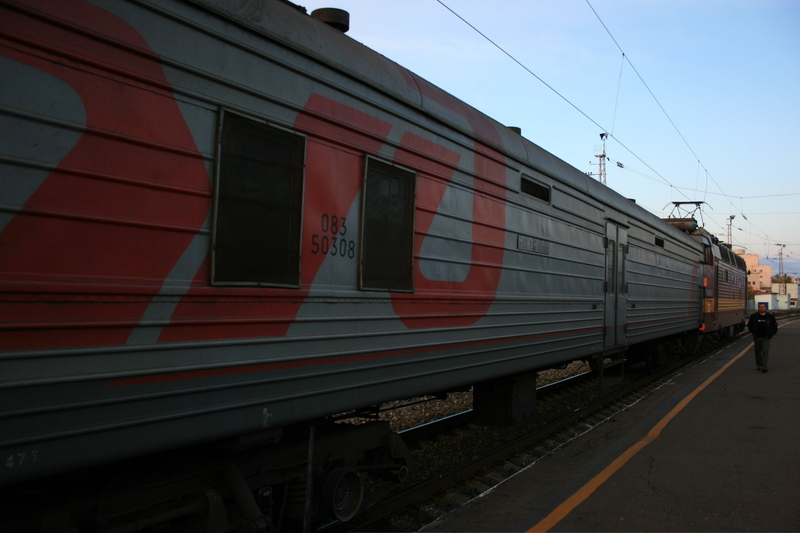 From Moscow to Vladivostok, it’s the language of Lenin and Tolstoy. From the Chinese border to Beijing it’s Mandarin, with its four tones and logographic script. In between, it’s Mongolian – another breed entirely. Inside the train, it certainly feels that way. From Moscow, there’s only one language that matters. With our fellow passengers in our berth – all Russians – we manage a ‘nyet’ or a ‘da’, a ‘pazhalsta’ or a ‘spasibo’. We know enough of their language to explain we are turisti. Apart from a train engineer on his way home, no-one speaks English. Mostly, we get by on smiles. For two and half days, it’s all pot noodles and warm vodka. Every few hours we make a trip, past the scowling provodnitsa, to draw water from the samovar for tea. Outside, its taiga – thick, impenetrable, un-ending forest. This is the landscape of Bulgakov’s young doctor, an imprisoned Dostoevsky, of labour camps and unspeakable cruelty. Occasionally, there’s a peasant village. In one, an elderly lady in a bright red headscarf is driving geese. The highlight is a trip down the corridor to the tualyet – and the only unlocked window in the carriage – to take a photo. The Urals roll by, briefly breaking the monotony. So do the big cities: Yekatarinburg, Omsk, and Novosibirsk on the great Ob River. Each one is an oasis of concrete, surrounded by fields of colourful, picket-fenced dacha – part summer home, part allotment, and must-have for the Russian city-dweller. 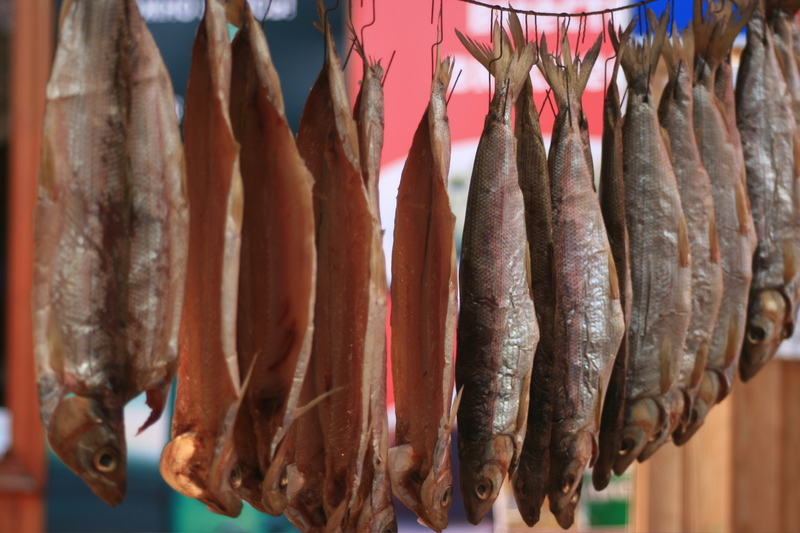 It doesn’t feel like it, but Russian isn’t the only language spoken in Siberia. For here too – from the mountains and thick-grass steppe of the south to the barren permafrost of the north – are the peoples that arrived before the Russians: in the north, the Yakut, the Dolgan, and the Even; in the northeast, the Chukchi and the Korak. On the third day we reach Novosibirsk, the third biggest city in Russia. On the platform, for the first time, we spot some Asian faces. North of here live the Khanty and Mansi people. Further north still live the Nenets, where the mighty Ob meets the cold Artic Sea. Half a day later, our train passes due south of the Evenki National Okrug, homeland of the Evenki people. One of the largest indigenous populations of Siberia, the Evenkis speak a language related to Manchu, the administrative language of China’s Qing Dynasty for nearly 300 years. Another half a day on, we pass close to the home of the Tofa people – or at least the few hundred of them that remain. Fewer of them still speak their native language, a distant relative of Turkish. In all, there are around forty indigenous languages in Siberia. Three of them are spoken by a few hundred thousand people. Most, though, are spoken by much fewer. Many of them are related to other languages of the region, as well as to those spoken much further a field. Some of them are ‘isolates’ – unrelated to any other language on the planet. Linguistically, the languages of Siberia are thousands of miles from English. Unlike the languages of Western European, they verbs at the end of the sentence place. Most employ postpositions, as Japanese does, rather than the prepositions we are used to. And most of the languages of Siberia have complicated case systems, more so than Latin. Finally, we arrive at Irkutsk, the ‘Paris of Siberia’. At the station, we stumble off the train onto the platform, glad to be leaving it for a couple of days. The streets here – grey and imperious – look like they belong in any Russian city. Only a few older wooden houses belie the city’s former frontier status. First settled by the Cossacks, Irkutsk is now the modern centre for Russian arms manufacturing. 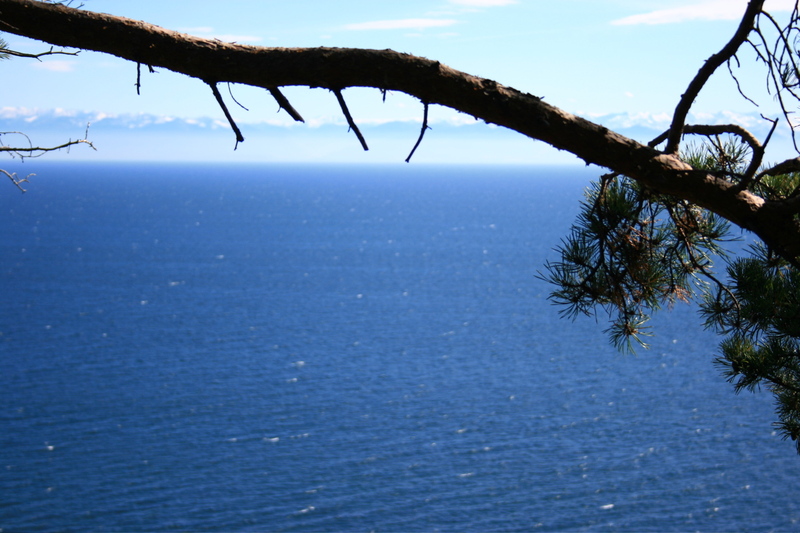 Downriver is the shimmering Lake Baikal: as magnificent as twenty Lake Genevas. But the highlight for us is the people. The region around Lake Baikal is home to the Buryats, cousins of the Mongolians. They have dark skin, darker hair, high cheekbones. Of the half a million inhabitants of this seemingly European city, a large proportion are Buryati. Fittingly, the woman that runs our hostel is half-Russian, half-Buryat. I suddenly understand Russia’s famous emblem: the two-headed Eagle. Simultaneously looking east and looking west, in Irkutsk, it makes perfect sense. In the supermarket, we hear the staff chatting to each other in Buryat – a language, like the people, which is related to Mongolian. When we get to the till, they address us in Russian. ‘Jack’, our guide, tells us that the Buryat all speak the official language of the Federation – but he doesn’t know a single Russian that speaks Buryat. Though one of the largest of Siberia’s ‘minority’ languages, Buryat is still rapidly losing ground to Russian. The pattern is similar all over the region. Waves of migration have brought Russians eastwards, looking for work, and modernisation has brought indigenous people to the town and cities. Across the region of their birth, there are fewer Buryats now than Russians. 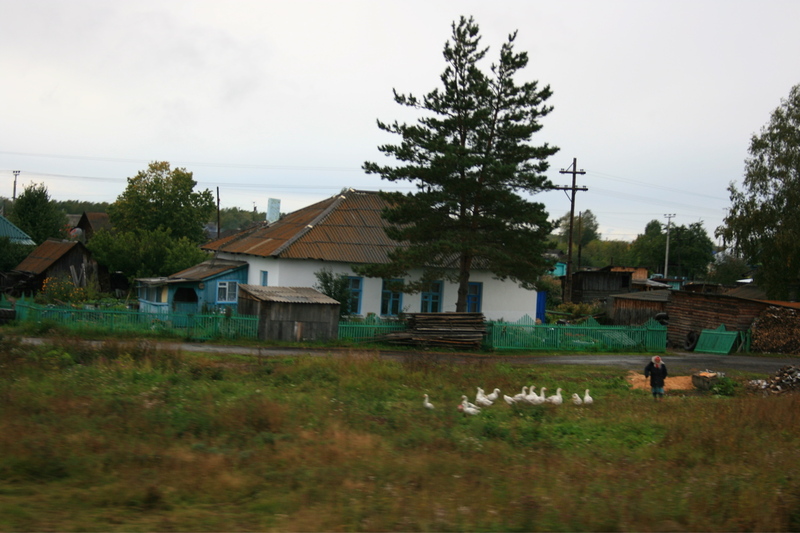 Moscow hasn’t always shown support Siberia’s minority languages. The administrations of Stalin and Krushchev favoured complete assimilation of indigenous people, although more recent policies have been kinder. Even so, new generations are ignoring the language of their parents – of their ancestors – in favour of the language they learn at school. The younger generation don’t care for their language, the elders complain. Why do we need it, the younger generation wonder? Many of the indigenous languages of Siberia are classified by linguists as ‘endangered’. Put simply, they are in danger of being lost within a generation. When the last native speakers die, the native languages will go the way of Cornish. They will be dead – along with the rich cultures and histories they are tied to. It’s a sobering thought. 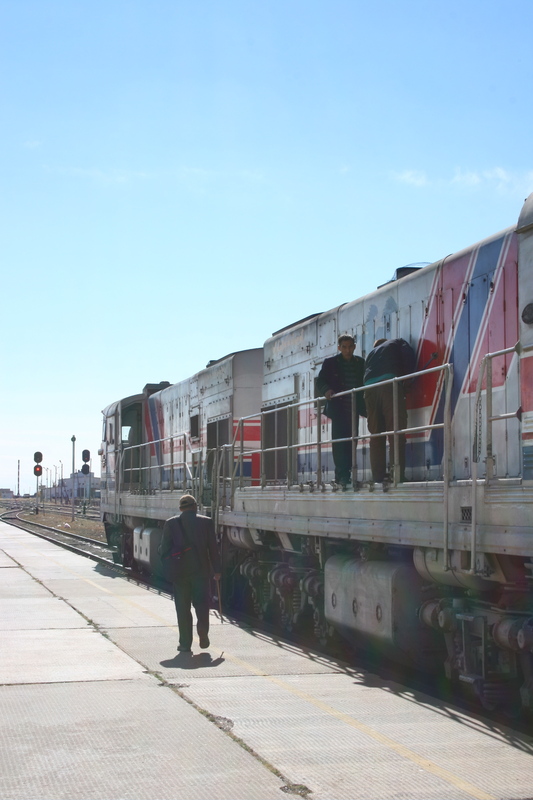 Back on the train, we travel on towards the border with Mongolia. South of Lake Baikal, we arrive at Ulan Ude, capital of Russia’s Buryat Republic. 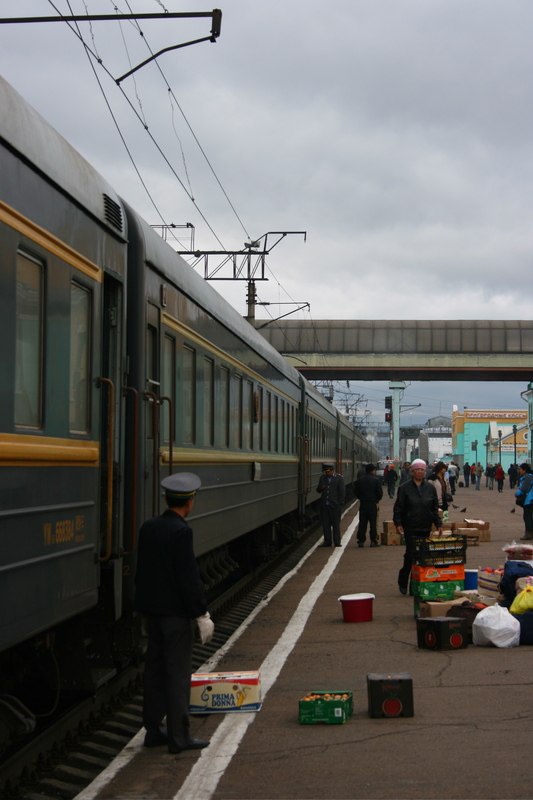 On the platform, there are Buryats, Russians, Western tourists and Chinese train guards. They all mingle among the loading trucks and crates of vegetables. It’s in places like this that ‘trade pidgins’ once developed as a means of communication between Russian and Chinese traders. Finally, we arrive at the border with China. When the passport controller arrives at our cabin door we address him with a ‘nin hao’. My partner is Canadian, but with Taiwanese parents. He tells her ‘huan ying hui guo’ – ‘welcome home’. Outside we see rugged mountains, muddy earth, trees and long grass. It’s autumn and, in the fields, farmers are harvesting maize. We pass countless earth walls, now in ruin. In the distance, we catch a glimpse of the greatest wall of all. In villages, we see Chinese characters painted large. 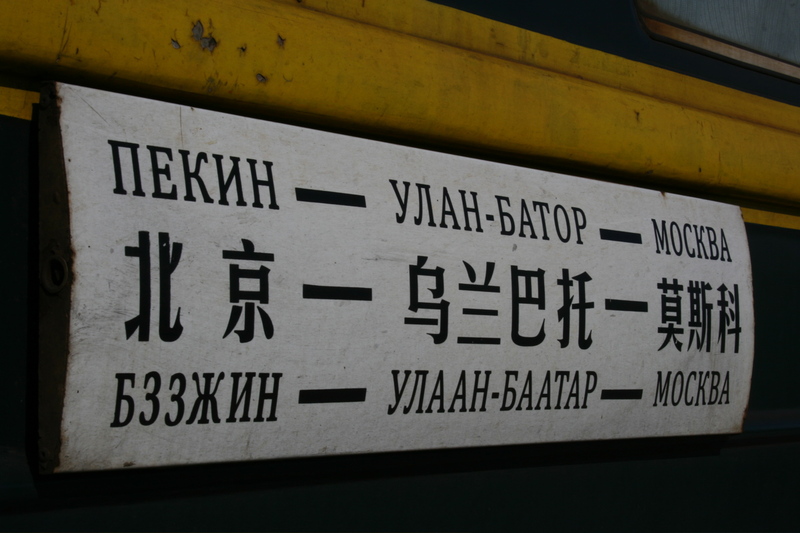 Except for the Mongolians in the berth next to us, the language is now firmly Mandarin – or Putonghua, as it is called here, the ‘common speech’. Few languages have been regulated so tightly as Mandarin. 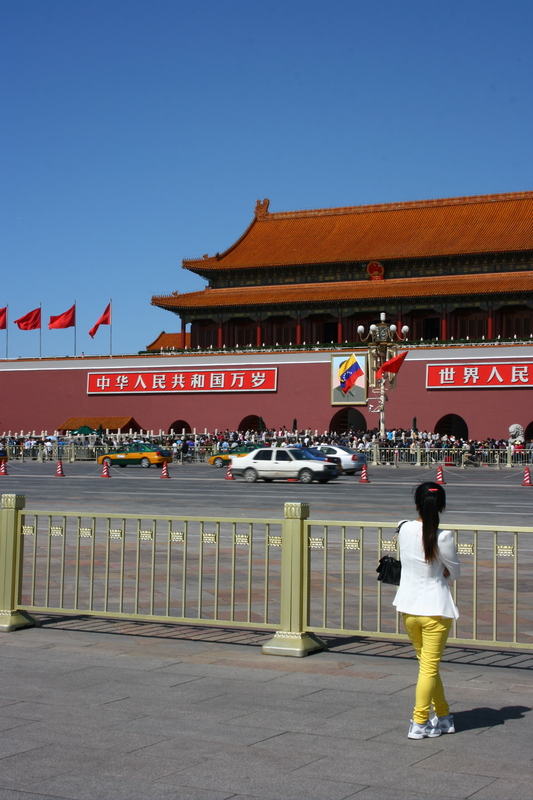 With language, like so many things, Beijing is firmly insisting on one standard for the whole country. How else would China function, they ask? Here too, then, minority groups try to balance the need to maintain the languages of their ancestors, and the need to access jobs and opportunities. Many are choosing a standard gauge. All along the Trans-Siberian railway, it’s a similar story. This entry was posted in Uncategorized and tagged china, language, linguistics, russia, siberia, travel. Bookmark the permalink. Post-1939 Stalin, yes. Before that was another story: the Soviet Union was, as China still is, an affirmative action empire. But affirmative action was never extended in the full sense to what were, and maybe are, called “the small peoples of the North”.